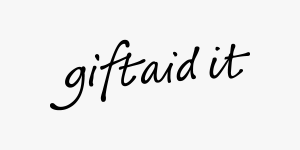 Increase your Charitable donation by 25% with Gift Aid. Gift Aid makes a huge difference to us. We receive an extra 25% and it costs you nothing! £5 becomes £6.25, £10 becomes £12.50…£100 becomes £125.00! If you’re a UK taxpayer, you can make your donations to The Green Economics Institute Trust’s Work on Social and Environmental Justice and Education about Reforming Economics and Creating a Green Economy, go even further. Just fill in and return the simple form below and we can claim back 25p of tax for every pound you donate. If you’ve donated to us or plan to donate in other ways, completing this form will make your money go further. The Green Economics Institute Trust wouldn’t exist without our generous supporters. We are incredibly grateful for the continued support we receive and take pride in ensuring that all our fundraising is honest, legal, transparent and respectful of all our donor’s wishes.